Firstly, I would like to say congratulations to full back Aaron Cresswell for making his England debut during the week. Thankfully he managed to finish the game without getting an injury. Now, on to the topic in hand. 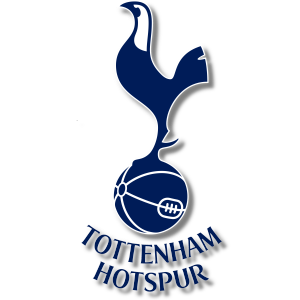 This weekend we visit North London and our recent rivals Tottenham Hotspur. Playing away to Tottenham is never an easy game but we have had a fair bit of success there in recent seasons. Who could forget Ravel Morrison running from the half way line then chipping the keeper. or Maiga getting a late winner in the League Cup later the same season. I’m hoping for more memories such as this tomorrow. But under Manager Mauricio Pochettino, Tottenham are an inform team and have yet to lose a game this season winning 5 and drawing 6 times so far. There can be no better motivation for West Ham United to be the first team to defeat them this year. Although undefeated in the league their last win was way back at the beginning of October where they beat Manchester City 2-0. Maybe this win went to their heads a bit as since, they have struggled to win games in any competitions since. Tottenham currently occupy 5th position in the table 3 points behind Arsenal and 3 points ahead of Manchester United. West Ham have been fortunate to have the International break at this time as some players have been able to come back from injury. Hopefully this will boost the teams fortunes after a disappointing draw last time out against Stoke City. Form has not been great for the Hammers our last win against Chelsea in the cup seems a long time ago and we are currently 1 point above the relegation zone and Hull City. The good news is that a win could take us as high as 10th if results go our way. Recent history is somewhat on the Hammers side in this fixture with the Irons winning 4 of their last 7 games against their North London opponents. Team news for Tottenham is that Toby Alderweireld, Erik Lamela, and Ben Davies will all be missing the game due to injury. There will also be a late fitness test on Dele Ali who is recovering from a knee injury. Harry Kane on the other hand should be o.k to start after withdrawing from the England squad midweek. Christian Eriksen and Danny Rose both seem fit to play. Slaven Bilic seems to have a few more options at the moment with the long awaited return of Diafra Sakho to the team. Quite how he has taken this long to get fit is beyond me but lets hope he continues to stay fit. Defenders Winston Reid and James Collins both have recovered from small injuries. Mark Noble will be missing from this game serving a one game suspension. Masuaku and Andy Carroll remain in the treatment room. Tottenham Hotspur : Lloris, Walker, Rose, Dier, Vertonghen, Wanyama, Dembele, Son, Alli, Eriksen, Kane. I think Bilic will resist the temptation of starting Fernandes and bring Kouyate back in midfield to replace Noble. The return of Sakho means there is now a bit more pressure on whoever plays up top to start performing and no better time than Spurs away for that to start happening. I think it will be a very tight game with both teams capable of winning but i will go for a late equalising goal from Ayew to make it 1-1 on the day.